In the late 1990's the RIAPA undertook a major legislative push to improve how PAs practice in Rhode Island. Without this push we would still be extremely restricted in what we can prescribe and how we are supervised. The success of this effort was largely due to the creation of the Rhode Island Physician Assistant PAC which helped support those candidates and legislators that supported us and our mission. We are once again calling on you and reactivating our PAC in order to modernize the legislation that governs our profession and how we practice. PAs no longer practice the way we did 20 years ago and the laws are outdated. Please support our efforts for the 2019 PA Modernization Act. To allow individual PAs to share in the opportunity to support local candidates who support the PA profession. RIAPA's Political Action Committee, RIPA-PAC, provides a means for PAs to participate in the political process on a local level. We support candidates who are committed to the principles that drive the PA profession. By providing this support, the PAC helps develop strong legislative advocates for the PA profession and helps ensure that those advocates can continue working to promote the interests of physician-PA team practice and patients for many years to come. Candidates for Rhode Island General Assembly (Representatives and Senators) and General Officers (Governor and Lt. Governor) regardless of party affiliation who support the RIAPA legislative agenda. Why does RIAPA need a PAC? RIPA-PAC is the only PAC in RI focused on representing PAs in RI state elections. RIPA-PAC is an integral part of RIAPA’s efforts to promote the legislative and political interests of PAs. Under law, the RIAPA is prohibited from redirecting membership dues to candidates running for office. Therefore, RIPA-PAC has been created to identify and contribute money to qualified candidates who weigh the interests of PAs when considering legislation. Who can contribute to the RIPA-PAC? 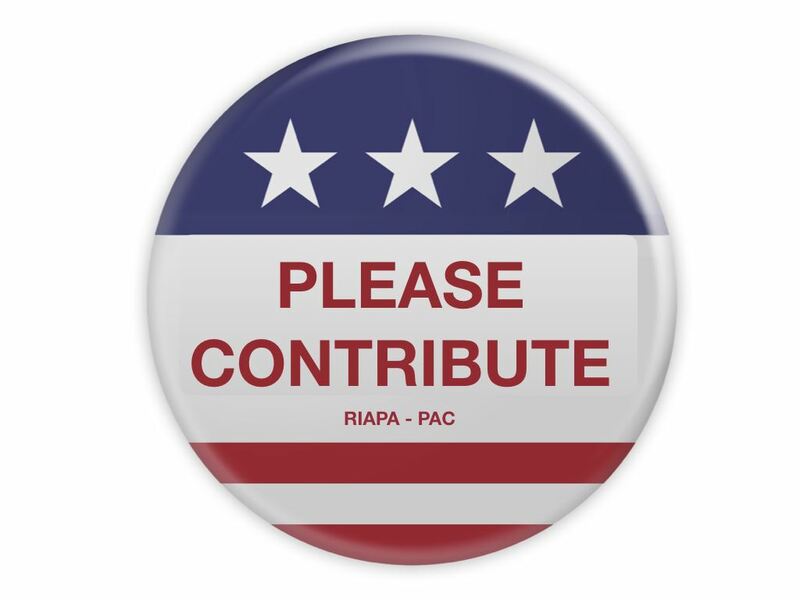 Individuals may contribute up to $1,000 to the RIPA-PAC per 2 year election cycle. Only personal contributions are accepted. Contributions to RIPA-PAC are not tax deductible as charitable contributions. Whom can I contact with questions about RIPA-PAC? Contact Ray Cord PA-C ray@riapa.org or Jim Carney PA Jim@riapa.org for more information.